The first is Creative Services, which are hosted services that you can use in your production work, in the delivery of your content. 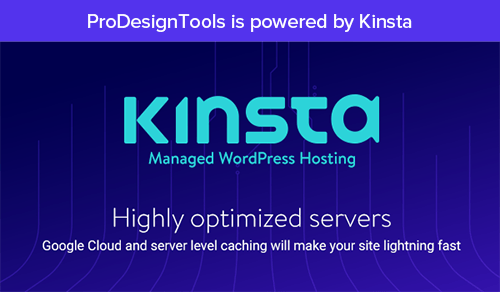 This includes a font service like Typekit, which Adobe recently acquired, which enables the use and delivery of a broad foundry of cloud fonts across all of your work. A second area is Digital Publishing, which enables publishing rich media to tablets via the cloud. And the third category is Business Catalyst, which supports designing and operating websites for small businesses, with pre-built services for things like handling e-commerce, doing customer relationship management, and integrating with social networks. More services will be added over time. The second pillar is Creative Community, which is all of you creatives around the world and enabling you to connect more easily with other creatives – it’s a place to share, to communi­cate, and to inspire each other with your work and really collaborate as you’re working. The community is a critical part of our whole ecosystem, and it’s a critical part of the cloud. At the center of this is the web presence of the Creative Cloud, which is creative.adobe.com. And one of the great things there is it will understand all the formats you’re using in your creative work – so PSD files, InDesign files, Illustrator files. Where other cloud services might show you an icon describing the file type, this will show you the actual content, and you can interact with it in a context-sensitive way. It’s a much deeper understanding of creative content. And lastly the third pillar is Creative Applications – and these are enabling you to create not only on personal computers, but also wherever you are with mobile devices, all connected through the Creative Cloud. This includes a whole new collection of Adobe touch apps to run on tablets and other mobile devices, including Proto, Kuler, Debut, Collage, Carousel, Ideas, and Photoshop Touch. In addition, membership also includes access to all Adobe creative desktop products you know and love, including Photoshop, Illustrator, and Dreamweaver and Premiere and InDesign, possibly Lightroom, more. You can download and install any of these applica­tions you choose as part of your membership, and these are all connected to Creative Cloud via desktop sync. They also interact with the touch apps, and you can move files between desktop and touch as you’re working. So why should you care, if you’re quite happy with your current set of desktop Adobe products, and less interested in services or tablet apps? As implied, this model of software is going to be a significant change because it means Adobe’s engineering teams can improve the applica­tions more frequently, and as they come up with new ideas, they can put them in the app and you can get them, not just once a year. Overall with Creative Cloud, they’re changing how they provide software from the traditional desktop model now to devices and also to the cloud. Twenty-one years ago they started with point products like Photoshop or Dreamweaver you could get individually, and then they did the Creative Suite bundling, and that was a great breakthrough for creative software and how you can acquire it, and this now is the most popular creative software in the world. Now their next step is moving to Creative Cloud, and it’s going to be a whole new way people can interact with the software. The touch applications are going to be available on the Android market in November, along with a beta of Creative Cloud so testers can immediately start using the storage and the synchronization with those applications. 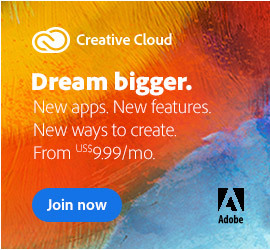 Then full Creative Cloud membership is going to be available next year – perhaps in conjunction with the release of CS6. Adobe says the Creative Cloud is going to be attractively priced, and they’ll be announcing pricing in November as well, so we’ll learn more about that soon. In the meantime, you can read more in the Creative Cloud FAQ – or express your view: what do you think about this optional new model? See the best from Adobe MAX 2011 – including both keynote presentations plus over 160 hours of on-demand free tutorials & training sessions from the experts, on a wide range of topics covering all major Adobe applications, plus more on the Creative Cloud. Sounds great, if it reads all the formats I work with. Will it recognize the 370 Kodak Photo CD’s that Photoshop no longer recognizes? There also exists a number of free or low cost utilities to convert those images into a more recent and commonly-used format. What does everyone think about this new cloud idea? Who is its ideal customer? Are their breakdowns in subscription and is this available to everyone regardless of country? Hmm, I know, let’s stop designing on powerful desktops using nice, 24″ monitors and start using underpowered small screened tablets; they are pretty fashionable after all. Like going back to ’95 when I had a 14″ CRT, only now I can touch it! OK for the hobbyist, but not much use for the professional, I feel. The other stuff sounds great though! I gotta admit I was nervous until they mentioned adding it along with the ability to still buy a standalone suite. It is far too soon to move to a cloud-based only method of delivery. I am not looking forward to cloud anything at this point. If I moved today I would lose my high speed cable and may not even be able to get the same speed at the same price. That alone really hurts the cloud concept for me. I would effectively lose my ability to create if I were forced to use a cloud-based service. Being able to install from a disc and continue to work offline is extremely important when your connection is unreliable etc. However adding the ability to subscribe to a cloud service separate is great. It could really expand things to a new level without causing and grief at all. In a few years they will eventually realise that this whole cloud hype will burst like other bubbles before. Who wants to be reliant on an permanent online connection/service, save his data in the cloud and all that stuff? So, if I stop renting “the cloud”, how do I open my files? Do I understand this right that if/when my subscription lapses, I lose access to my product as well as all my original project files?? Yes LSwanson, it is true that if you stop paying the monthly charges, then your software and application data files will no longer open. It is unclear at this point whether files stored in the cloud would still be kept. Thanks for your question. That’s what I thought, and it’s insane! It makes no sense at all. And what if the computer I have doesn’t support a newer version of the software because of changes to system requirements, which is becoming a recurring theme – do I then have to buy or upgrade to a new machine? What if your favorite application is unceremoniously dropped from the new version, which has happened before (and even recently, can think of some)? And should we even talk about security of your files in “the cloud”? What about downtime? Why would I want other people seeing and potentially copying my work anyway? Lastly I think I read somewhere that Adobe has the right to change the rental fees at any time they want and if you don’t like it you’re forced to cancel, and then lose all access! This just does not sit well after the whole recent upgrade policy debacle. It’s just crazy, and loses all stability and flexibiity and investment into what you own… no reasonably intelligent person would ever do this. This is a half-baked scheme hatched by business suits and not technical experts. Hello again, sorry but we don’t have answers for all of those for you. Adobe says they will be coming out with some more information down the road on this. In the meantime, we can refer you to their Creative Cloud FAQ as well as the Terms & Conditions for Subscriptions, which work the same. One thing we can confirm is the pricing is subject to change as you noted. Adobe has said already regarding subscriptions that they don’t think they’re for everybody, but can be helpful in some cases. So the same probably applies here – there are advantages for some users, but not all. Fortunately you personally don’t have to worry as the company has been clear in stating that the Creative Suite perpetual (permanent) licensing you are accustomed to and clearly happy with will continue to be available. So, not to worry. If you purchased a subscription-based license to the Software (each such license, a “Subscription Edition License”), you may install and use one copy of the Software only on the Permitted Number of your compatible Computers into which you enter a valid serial number and only during the period of time for which you have paid the subscription fee. (c) agreement to payment terms and conditions that are available at http://www.adobe.com/go/paymentterms. 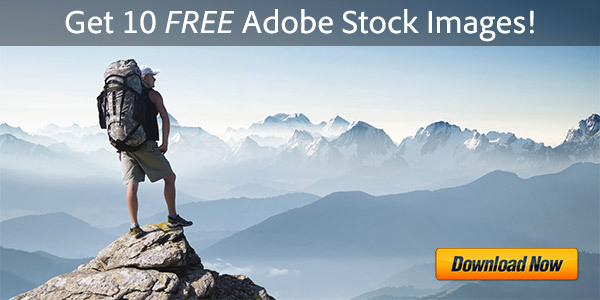 You may cancel your subscription at any time by visiting the “My Subscriptions” page on Adobe.com, or by contacting Adobe by visiting http://www.adobe.com/go/support_contact. If your Software cannot connect to the Internet on the same recurring schedule as your payments are made, or if you discontinue your subscription fee payments, then your Software will become inactive at the end of your current billing period with or without additional notice. Your subscription will start as soon as your credit card is successfully charged and a serial number has been provided to you. Thank you for your reponses. I know it’s not your doing, I just think it’s a really bad move. Can you imagine a professional carpenter with rented tools, paying each month for an everyday hammer? I just don’t like the direction Adobe’s been going lately, they’ve been making a lot of missteps probably out of trying to appease shareholders. This is a great company with great products & customers, one of the best, so it’s painful. But I hope they are truly serious about staying committed to traditional “forever” licensing because if that goes, I’m out. Peace. are you guys serious? just because YOU dont need to use cloud based storage, doesn’t mean thousands of others don’t. many people, institutions and businesses need to share data for a short amount of time and need it to be accessible by multiple people in various locations. get over yourselves and stop fearing every new technology. if its not for you, then don’t use it and don’t complain. i’m so tired of hearing people groan about things that don’t concern them and are actually helpful. Julia, your comment is off base. The issue here how Adobe is going about this. Nothing wrong with a cloud if it manages to work for you or float your boat. But most people I know believe Adobe is trying to force or drive its customers to the cloud, whether they want it or not, by the policies they are changing or introducing. Since I’m one of those (longtime) customers, this naturally concerns me, as the cloud will not work for me (or for some other people I know). So it’s not necessarily what they’re doing, it’s how they’re doing it. Nothing wrong with another option, but don’t break the previous, longstanding paths and choices that millions enjoy, rely on, and that work well. The customer is always right, and perception is reality. First of all, I think it’s a great move Adobe is making with their Creative Cloud. There’s only one thing I’m not sure about. When I use one of Adobe’s Desktop applications, will I be able to store files locally or must everything be stored in the cloud. As we all know, online access is not always 24/7, so to be able to work offline must be part of the deal. I’m so excited about this – http://tv.adobe.com/watch/cs6-creative-cloud-feature-tour-for-web/pattern-creation-in-illustrator-cs6/ …finally I can create patterns for my blog and twitter backgrounds in an instant. The new creative suite CS6 from Adobe is full of brilliant new features. 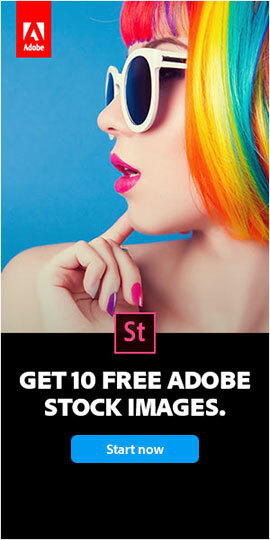 I already bought it from Adobe’s shop, can’t wait to get my hands on it! Is there somewhere a novice layman such as myself can see what each specific program is and what it does in a quick and easy to understand format, e.g. a PDF. Easy, real easy. Interest me enough to learn and don’t make me feel like I’m outside the creative club. P.S. I’ve purchased the Creative Cloud so I’m in deep. Hey Greg, it’s a good question and we’re planning a new post with a “directory” of all that’s in CC now and what it means… This is becoming increasingly important as Adobe continues to expand the offering. In the meantime, check out the Creative Cloud Table of Contents, and then click on any included tool name to find out more about it. Wikipedia is another great resource with a large list of all Adobe software and summaries of each tool. 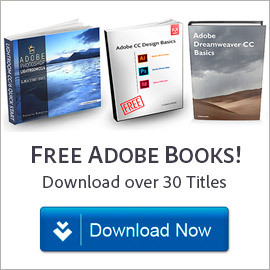 So, You will basically pay Adobe Cloud to own your designs and do what they want with them? No, not at all peters – where on earth did you get that notion? I am not interested in your creative cloud yet somehow it always opens on my computer and seems to be installed in my applications without me lifting a finger…please remove or tell me how to get your unwanted program off my mac! Hey Jude, you must have downloaded and installed it at some point, as it didn’t get there by itself? You should be able to remove it using your operating system’s uninstall command. That is, the standard way for all programs.